Festival; Arts Council England have been long term supporters of the Festival. Private funding (approx 60%) is raised through sponsorship of Festival projects alongside a small range of London Design Festival products and services delivered throughout the year. Debating Designs on our Future will take place on 20-25 September 2015 at Victoria and Albert Museum in London. The panel included David Adjaye, Architect, Tony Chambers, Editor of Wallpaper*, Sheridan Coakley of SCP, Dominic Lippa, Partner, Pentagram, Marek Reichman, Design Director of Aston Martin, Raoul Shah, Founder, Exposure, Joff Sharpe, Head of Operations, British Land, Justine Simons, Head of Culture at the Mayor’s Office, Martin Roth, Director of the V&A, Nadja Swarovski, Member of the Swarovski Executive Board, Sarah Thomas, Director Thomas.Matthews, Paul Thompson, Rector of the RCA and Jane Withers, Design Strategy Consultant. If anything is evidence of this city’s vitality, it’s the sheer scope and quality of the Festival events programmed by our Partners. From established businesses to emerging practices, from entrepreneurs to educators, from manufacturers to retailers, our Partners represent the heart of London’s design culture. In 2014 the Festival had a programme of 395 projects and events staged by 270 partner organisations. Check out the events HERE. The London Design Festival programme is made up of over 300 events across the city. 19-27 September 2015. To ease the process of planning your visit to the London Design Festival 2013, they created the new My Festival tool which will be improved even further for our 2014 Festival. Simply click the My Festival pin icon on events that you would like to attend and they will automatically be pinned to your own personalized map, then download your itinerary and share your plans with friends. To see the broad range of activities that the Festival offers, view our events online or download the 2013 guide and map above. London’s design communities gravitate to different districts creating distinct clusters of activity. Check out all the Projects HERE ! In 2009 the relationship between the V&A and the London Design Festival began and it continues to grow stronger by the year, producing a programme of installations and events bigger and more daring than ever before. The Victoria and Albert Museum is a non-departmental public body sponsored by the Department for Culture, Media and Sport, and is a charity exempt from registration under the Charities Act of 1993. It operates at arm’s length from the Government and is governed by a board of Trustees appointed by the Prime Minister. Somerset House, one of London’s most important centers for arts and culture, is this year a major new destination for the London Design Festival and will showcase a series of exciting exhibitions, installation and events during the Festival. Within the historic setting will be exhibitions showcasing collaborations between internationally-renowned designers and brands, a presentation of the winning entries from a competition with Twitter, an exploration of how an ancient tree can continue to have a function even after being felled and a display showing the work of four winners of the British Land Celebration of Design Awards. A unique part of the London cultural scene, Somerset House is an historic building where surprising and original work comes to life. From its 18th century origins, Somerset House has been a center for debate and discussion – an intellectual powerhouse for the nation. Somerset House is today a key cultural destination in London in which to experience a broad range of artistic activity, engage with artists, designers and makers and be a part of a major creative forum – an environment that is relaxed, welcoming to all and inspirational to visit while providing a stimulating workplace for the cultural and creative industries. Since its opening in 2000, Somerset House has built up a distinctive outdoor public programme including Skate, concerts, an open-air film season and a diverse range of temporary exhibitions throughout the site focusing on contemporary culture, with an extensive learning programme attached. It is probably the biggest community of creative organizations in London including the The Courtauld Gallery and Institute of Art, King’s College London Cultural Institute and over 100 other creative businesses. We currently attract approximately 2.5 million visitors every year. This September, 100% Design, the UK’s largest design trade show celebrates its 21st edition in a brand new home, Olympia London. 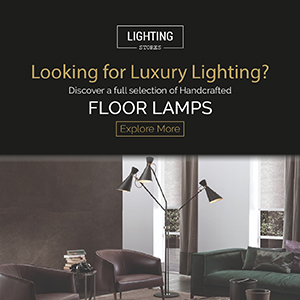 Staged in the dramatic Grand and West Halls, the show will take place across two levels and benefit from natural light, enhanced facilities and five distinct sections including Interiors, Design & Build, Kitchens & Bathrooms, Workplace and Emerging Brands. The top colour trends for 2016 will thread throughout the show as a means to demonstrate the importance of colour and to navigate the show. To complement this, the award-winning 100% Design website fully embraces colour, providing an opportunity to search exhibitor products in each of the selected colours. Returning to the prestigious location of Syon Park, Decorex International opens alongside the 2015 London Design Festival. This year Decorex explores the future of luxury through a series of interactive feature installations and focused seminar discourse. Leading applied arts and design critic, Corinne Julius, curates the eagerly anticipated sequel to Future Heritage, an exciting feature of people to commission and the names to collect in contemporary British craft and design. Renowned designer, Russell Sage, will be creating the highly anticipated Champagne Bar this year and The New Craftsmen – luxury handmade craft from over 75 British makers – will be designing the VIP lounge in association with House & Garden. Throughout the four days, visitors will be the first to see new collections from more than 400 design brands and experience inspirational and enlightening talks as part of the popular seminar programme. A pop-up food market will offer visitors the chance to indulge in luxury street food from some of London’s rising stars, while the on-site restaurant will provide fine dining with views of historic Syon Park. designjunction is delighted to announce that this year’s London flagship show will be held at two stunning new locations for the London Design Festival 2015. Renowned for taking on challenging industrial spaces across the globe, designjunction2015 will see the transformation of the spectacular, character-filled former Central Saint Martin’s college and nearby Victoria House. In a move which will result in a major collaborative show for London, the former Central Saint Martin’s College building will house designjunction’s leading trade- focused brands and live content, whilst across the road, Victoria House will present the show’s largest ever retail offering of premium high-end design brands. designjunction2015 will host more than 180 cutting-edge design brands, over 50 design-led pop-up shops, the largest ever edition of lightjunction, a stellar seminar programme, interactive flash factories and a wealth of culinary delights – all spread across two historic venues. at ‘Conversations in Design’ sessions while ‘Access All Areas’ sees tremendous growth with over 100 events bringing new insights at workshops, talks and forums. Add to this specially commissioned installations and pop-ups, it is the perfect mix of style, innovation and directional design. Tent & Super Brands, London have rapidly become the host fairs for national pavilions during the Festival, with 450 exhibitors from 29 countries. Some pavilions will be themed around a design discipline such as the Czech Republic’s 2014 Glass Mania by Umprum academy, or will be a cross-disciplinary selection by producers such as Fulgen for 100% Norway 2015. Other confirmed Pavilions will include the spectacular and updated Consistency & Change in Korean Craft exhibition, Swedish Design Pavilion & Café in Super Brands (curated and designed by Cate&Nelson with brands including Offecct, Bla Station etc.) and The Design & Crafts Council of Ireland exhibition celebrating Irish Design 2015. Taste Taiwan celebrates World Design Capital 2016 with a dining experience, the Italian Trade Commission will present 250sqm of Italian brands, KADK NOW! (Danish selection as seen in Milan), Finland presents Finnish Form for the first time alongside the Australian Furniture Association (curated by Tent London) and returning with a new line-up is Hand Made Japan. New brands showing in Super Brands will include Neo Craft from Germany and Yask from Switzerland. Visitors will also be able to enjoy a colour experience by Dulux and a talks programme that will reflect the country pavilions line-up. For the first time, Tent will present a feature area called “Techable Home” for tech enabled design for the home. Techable Home will be paired with a Tech Meets Design talks programme at Second Home – London’s newest Tech community space on Hanbury Street, E1. In 2015, there will be seven official Design Districts spread across the capital during the Festival. Design Districts are areas where there are distinct concentrations of design activity and events that can be traversed easily on foot. Each District is organised locally and independently under the umbrella of the London Design Festival. This year will see a new Design District, Bankside, take part in the Festival. Bankside will this year be the first London Design Festival Design District located south of the river. Bankside has seen ongoing transformation since Tate Modern and the Millennium Bridge launched in 2000. Today the area has become a creative hub, home to many galleries, design studios, architectural practices and creative agencies. Late night opening on Wednesday 23 September. Brompton Design District is a partnership of leading international brands, much loved independent retailers and cultural institutions, which hosts a renowned pop up programme, curated by the respected Jane Withers. With around thirty exhibitions in the district, including the festival hub at the V&A, visitors can wander through the wide streets, and take pit stops at the notable cafes and restaurants such as Fernandez & Wells, Brompton Food Market or Bibendum in the landmark Michelin building. Partners include Mint, Skandium, Squint, The Conran Shop, to the Italian brands B&B Italia, Boffi and Cassina. And, from the pop ups, highlights include Dzek, Marion Friedman Gallery, OYUNA, Pia Wustenberg, and new talent from the RCA curated by Sarah van Gameren and Philippe Malouin. Late night opening on Thursday 24 September, daytime event and open studios on Sunday 27 September. The Shoreditch Design Triangle 2015 will be one of the most coherent street- by-street event during this year’s London Design Festival. Now in its seventh consecutive year, the event brings together a collection of designers, stores, galleries, studios, cafés, bars, brands and one-off events for a week of design-led festivities. The Ace Hotel on Shoreditch High Street will provide a hub for people to meet, relax and gather information. The London Design Festival are working with Radisson Blu Edwardian as the Official Hotel Partner for 2015. With a selection of hotels conveniently located near exhibitions and events, they are ideal for your visit to London during the Festival. During The London Design Festival, customers can enjoy a 10% saving on stays and a complimentary room upgrade from 17th – 30th September at Radisson Blu Edwardian hotels. A collection of individual hotels in great London, Manchester and Guildford locations, the Radisson Blu Edwardian, London hotels range from bijou boutique to large-scale luxe. Think contemporary design that doesn’t compromise on comfort, complimentary wi-fi throughout and great seasonal British food, with service that anticipates but never assumes. It’s an experience that relaxes and stimulates in equal measure. CitizenM a new breed of hotel located in London’s buzzing Bankside district—minutes from the Tate Modern and easy tube access to London Bridge—192 luxury rooms await with free Wi-Fi, free movies, and tablet MoodPad to control every detail; Vitra living room spaces with stunning art, a MENDO bookstore, and canteenM’s 24/7 eatery and bar. There is other Design Weeks happening right now don’t miss Paris Design Week!